The photo is courtesy of RIA Novosti / Igor Zarembo. Enabling far longer flights, and far cleaner (ecologically speaking), hydrogen-powered Unmanned Airborne Vehicles (UAV) have been tested by the Russian Aerospace Defence Forces (VKO) in Syria, according to a news report published in the South Front infosite. According to a spokesperson involved in this project, UAVs equipped with hydrogen engines showed positive results during test flights. All of the Russian drones have safely returned back to their country and data is being examined as to how well these craft withstand the impact of hot climates and sandstorms. 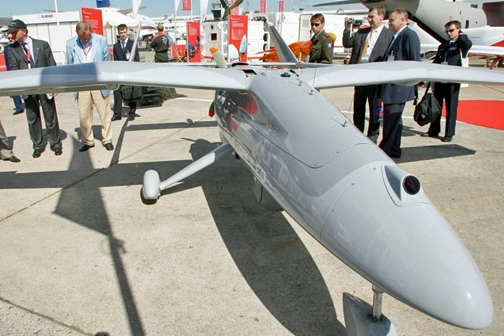 The Chairman of the Council of the Federation Committee on Defense and Security, Viktor Ozerov, stated that the use of hydrogen engines makes UAVs less vulnerable to missiles that home in on their targets through the infrared sensors and, as hydrogen-powered UAVs generate far less heat, they are less likely to be detected. A hydrogen-powered drone actually possesses the weight as kerosene and gasoline powered units. With the success of these units, there may well be the potential for future contracts, with the income generated from such sales offsetting the expenses of these Syrian missions.